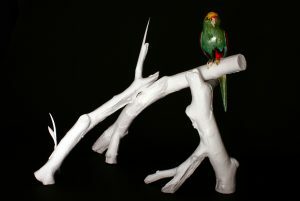 Dr Julie Bartholomew is an artist and educator in ceramics. Julie explores contemporary issues including consumer culture and currently environmentalism with a focus on climate change and its impact on the Antarctic. 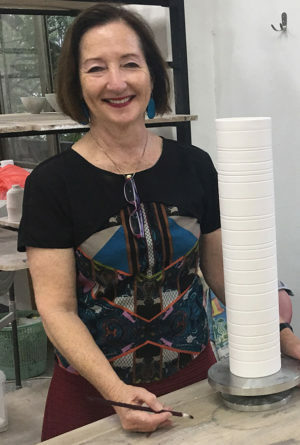 Julie was awarded a Doctorate of Visual Arts in 2006 and has been the recipient of numerous awards including four Australia Council for the Arts New Work Grants, the Tokyo Studio Residency, Australia-China Council Red Gate Residency in Beijing and the Asialink Taiwan Residency. Julie was the winner of the International Gold Coast Ceramics Award in 2006. 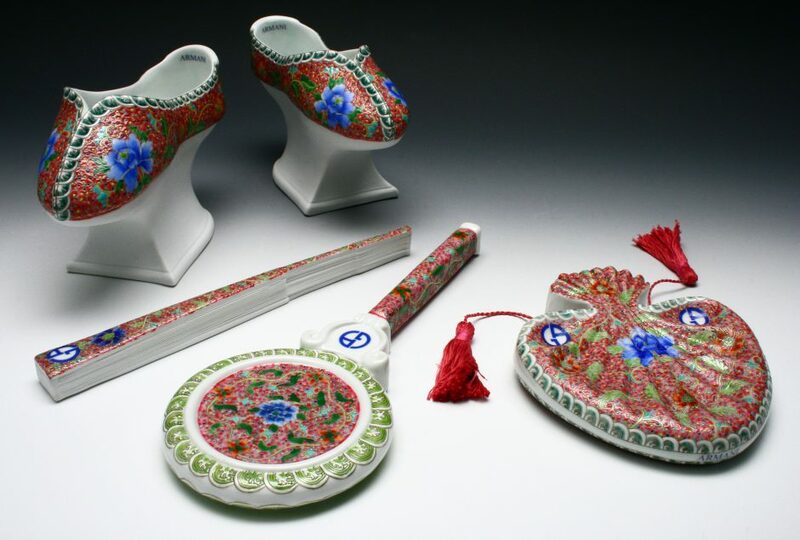 Her work is held in significant public collections including the National Gallery of Australia, National Museum of Australia and the Yingge Ceramics Museum in Taiwan. 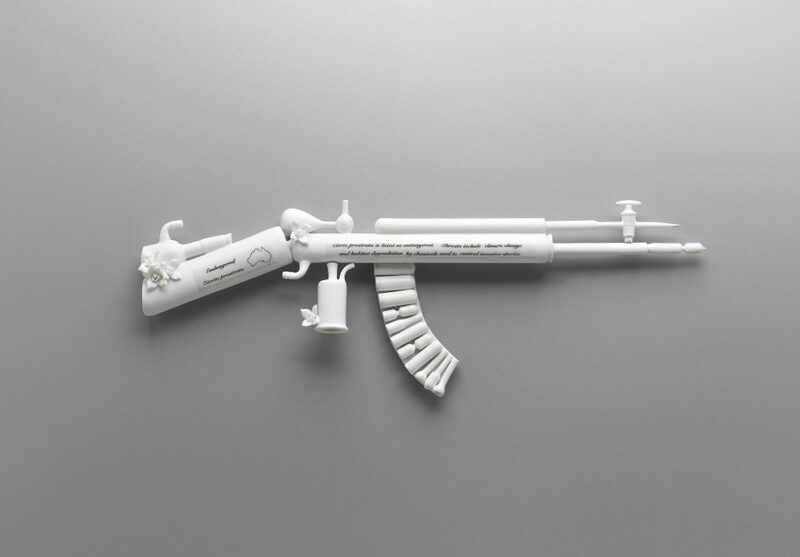 Julie’s art practice is based upon a long-term interest in contemporary issues while extending the field of ceramics practice by challenging its materiality and traditions. 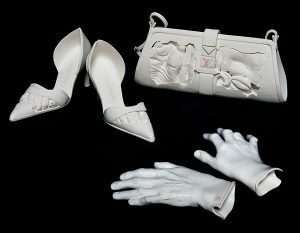 Previously she focused on consumer culture, specifically the relationship between female identity and global branding within the context of western and eastern cultures. Recent concerns explore the precarious existence of threatened Australian birds and flowers. Julie’s interest in environmentalism continues with a project investigating the science of ice core extraction. Drilling expeditions collect cores embedded with information providing an understanding of climate change to the earth over thousands of years. 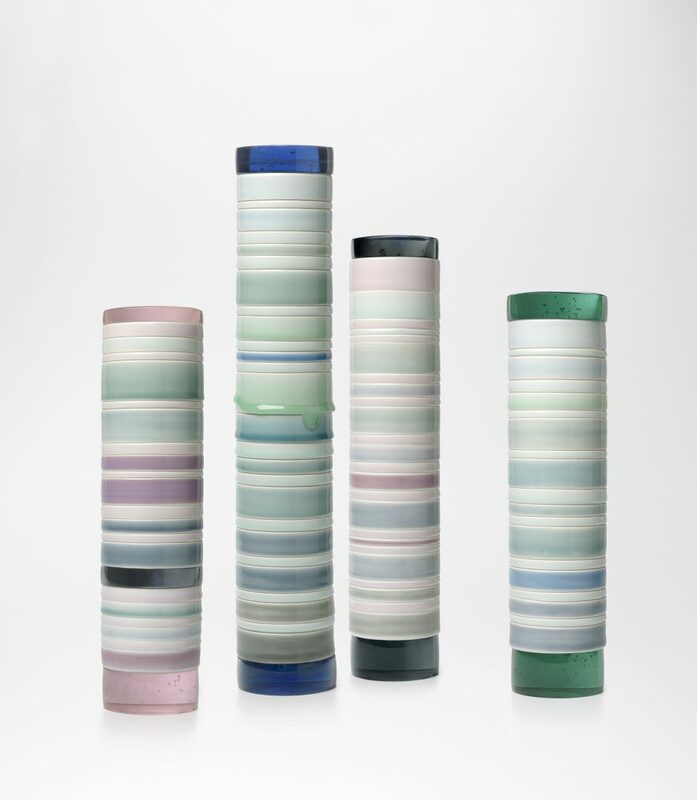 A new series of ceramic and cast glass columns depict ice cores with horizontal striations that refer to layers of annual snowfall. The coloured bands describe scientific data collected from an ice core extracted in the Australian Antarctic Territories. The translucent, material qualities of glass and ceramics make visible evidence of climate change hidden within the glaciers and ice beds of Antarctica.